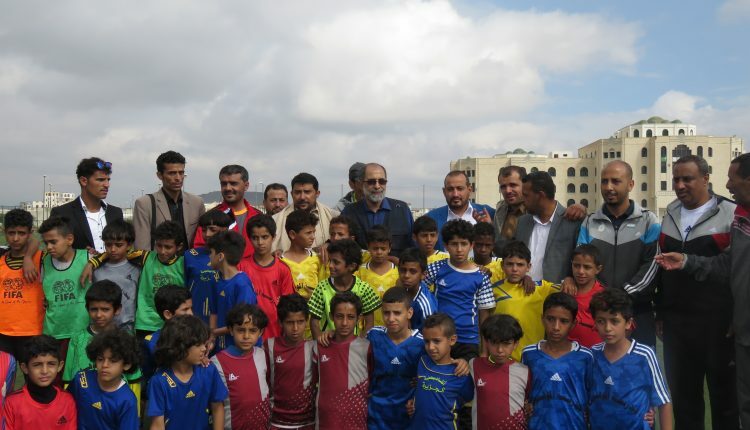 SANAA, Oct.18 (YPA) – Minister of Youth and sport Hassan Zaid on Thursday kicked off in the capital Sanaa the football Festival of schools’ students, sportive academies and teams of youth fewer than 15 ages organized on the sportive city of Thawra. During the event the minister delivered a speech in which he praised the role played by the schools’ students and the technical sportive apparatus to in developing skills of all age categories. He affirmed the continue organizing of sportive activities in spite of the all-out blockade imposed by the Saudi-led coalition on the country and its war waged which targeted the sportive installations. #BREAKING: #TAIZ – #Yemen army repels an attack of coalition’s militia in Tabishaah front of Dhaba district, killing and injuring several of them.